Another one for F#@K I LOVE U, selection that is! UMFF Chosen!!! 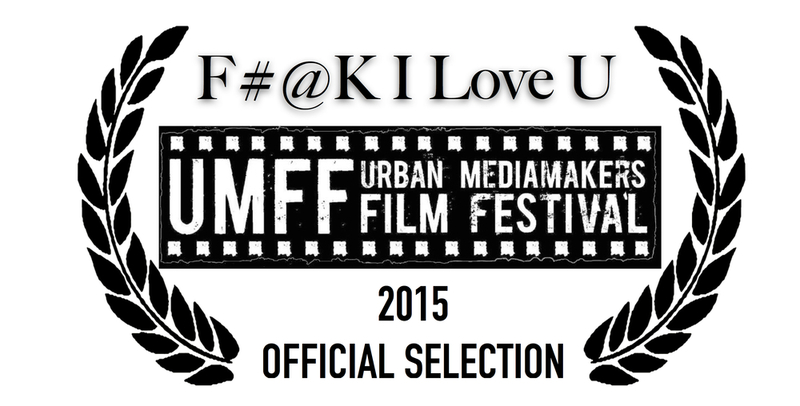 F#@K I Love U, 2015 ITVFest selection and Indie Fest winner for Web/Internet programming has been selected in the 2015 Urban Mediamakers Film Festival - UMFF in Norcross GA, October 8th-11th. Celebration and congratulations are in order for the entire cast and crew who worked so tirelessly to make this a reality. Thank you UMFF, looking forward to spending time with you. And nothing is without our audience, the people who watch and F#@Kin Love us, thank you from the bottom of our hearts. Founded in November 2001, the mission of the Urban Mediamakers Association is to promote and support diverse, independent digital/media arts content creation. Our annual signature event is the Urban Mediamakers Film Festival (UMFF) showcasing award-winning, global independent films. Join us October 8-11, 2015 for UMFF as we celebrate 14 years of showcasing award-winning content creations. Media images represents the most recognizable commodity in the world. The implied messages of media form the worldviews of millions. In the United States and globally, Blacks, Latino and Asians are severely underrepresented in mass media, and are most often shown in marginal roles when featured. As independent content creators, we can the talents and creativity to change the narrative of the diaspora stories. Los Angeles, CA., 8/08/15 – F#@K I Love U, of LUCKY Creates… LLC, has won a prestigious Award of Merit from the IndieFEST Film Awards. The award was given for it’s exciting web/internet programming, which entertains and inspires. F#@K I Love U features an exceptional cast including Murisa Harba, Gabriel Voss, Ashlee Buchanan, Marilinda Rivera, and Tiffany Tynes. With incredible stories written by creator Lucky Mor and brilliant visuals courtesy of director of photography Stephen Ling, F#@K I Love U goes above and beyond the normals of new media production. This is a shooting rehearsal of what will be a classic F#@K I Love U scene. Lucky Mor is just watching the show, he's a fan. ITVFest (the Independent Television and Film Festival) is the original public festival and network of the world's best independent television pilots, webseries and short films. Every September, ITVFest bring together over 1,000 filmmakers, actors, writers, directors, producers, financiers, Hollywood executives and general public fans to relax and connect in the Vermont mountains. The power couple comes back harder than ever. Don't F#@K with one, cause you'll F#@K with the other. This ride is beyond death. The struggle gets real in 8 all new episodes coming soon. F#@K I Love U starts on the page, it takes that special actor to bring it to the stage. Take a great look at some auditions that led to the screen. These glimpses in the search process enlightens you to what we saw for the 1st time, wonderful creative talent. Climb into bed for a couple of minutes with each cast member of F#@K I Love U. Talking about anything from love to fears. Also getting a look at this amazing series from the inside underneath the covers. Get comfy and let's spoon. A father does anything to provide his son a better life. A son does whatever he can to stay in his father acceptance. One of the most compelling stories of F#@K I Love U gets told in Season One, Part II, Junebug and his son Reggie. hai Edwards and new F#@K family member Kevyn Richmond as Reggie give intense performances sure to captivate you and pull at your heart strings. This is a story we can't wait to share with you. F#@K I Love U, Season One, Part II: Exclusive Clip, WHAT?! In this EXCLUSIVE clip Angie talks about her future with Douglas then hears of the wild adventure Amanda had with the mysterious girl from the dress shop. Watch this and stay tuned for 8 all new episodes coming soon!! 15 second sizzle of what to expect this 2015! F#@K I Love U goes to VEGAS!!! 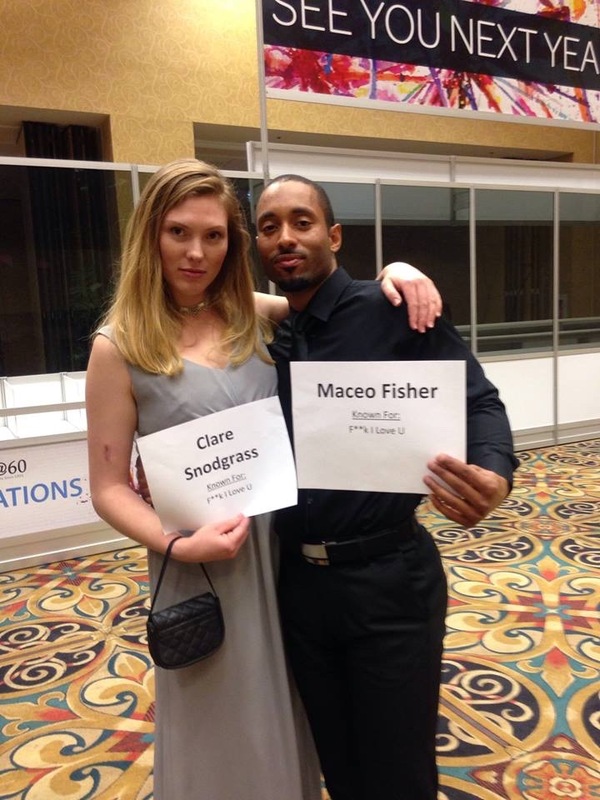 F#@K I Love U's Lucky Mor, Clare Snodgrass, and Maceo Fisher along with producer Karina Farah, make-up artist Kate Oja, and star production assistant Max Fausnight attended the 4th annual IAWTV Awards in Las Vegas, NV! 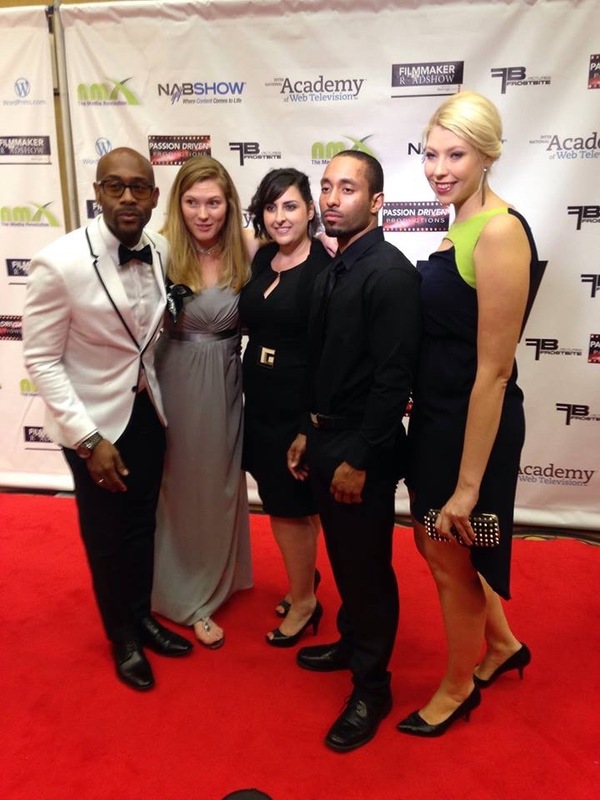 Walking the red carpet, being interviewed, and enjoying an amazing ceremony was a night to remember! Thank to the IAWTV for the gracious invitation and we look very forward to attending again next year! Seven of the most talented and beautiful women ever assembled for a series sit with Mark Hughes and discuss what's it like being in F#@K I Love U and all things associated. Ashlee Buchanan, Murisa Harba, Natalie Taylor, Zehra Fazal, Marilinda Rivera, Clare Snodgrass, and Tiffany Tynes are all here for great conversation and brunch with mimosas! F#@K in the Round: The Gentlemen, Part II WATCH NOW!! More Cigars, Old Fashions, Texas Hold'em, and classy cheese. Maceo Fisher, Thai Edwards, Lucky Mor, Gabriel Voss, and Ozzie Rodriguez continue with interviewer Mark Hughes to discuss F#@K I Love U whatever else pops up. F#@K we did it Again! Filming that is! We shot some great scene for Season One, Part II. Good wine, beautiful women, dancing, interesting men, and... torture? STAY TUNED, it gets real!! We would like to thank the Bugatta Supper Club for their wonderful hospitality. Visit them, and try the Billy Goat pizza, YUM!!! F#@K EXCLUSIVE VIDEO: Shower Scene, TAKE 2!! F#@K I Love U is underway reshooting the 1st two episodes with our Winston Family members Murisa Harba and Gabriel Voss. 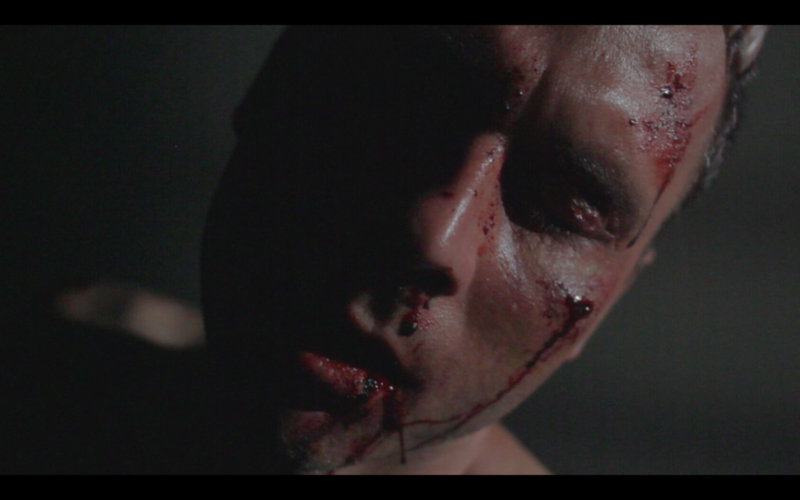 We just couldn't wait to show the reshoot of the shower scene that started this amazing ride! This is those dirty minds with clean bodies, ENJOY!!! We're BACK! F#@K I Love U Season One, Part II filming!!!! We had a wonderful 3 day weekend doing what we do best, creating for U! Filming with our classic cast and crew, seeing our new characters come to life, and the debuting of Murisa Harba as part of F#@K directing team this was an unforgettable shoot. Enjoy some photos and stay tuned for some behind the scenes videos and much more!!! Welcome to the official site of the web series F#@K I Love U! Here's where you will get all you want from the greatest web series in history. Updates, interviews, extended clips, videos, photos, chats, behind the scenes, involvement, and most of all THE EPISODES! We are dedicated to giving you the best entrainment we have to offer. So sit back, take a look, and enjoy all we have to offer, it's just the beginning.